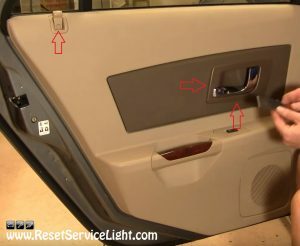 DIY, remove the rear door panel on your Cadillac CTS, made in the years 2003, 2004, 2005, 2006 and 2007. The process is quite simple and it will require a flat blade screwdriver, a Phillips screwdriver and a putty knife. You can do it in less than 15 minutes, if you follow the steps we show you below. So, open the rear door and start by prying out on a small plastic cover located on the lock tab. Once you do it, the lock button will come off by simply lifting it. Then move to the door handle and, using the same screwdriver or a putty knife wrapped in a thin rag, pry out the bezel around the handle and remove it (see details in the image below). After you remove those plastics, go behind the door pull and pry out another plastic cover, that hides two Phillips screws, as you can see below. Remove them with a proper screwdriver. This is the moment to basically remove the door panel. Insert your fingers or the putty knife behind it and pull towards you until you detach the panel. 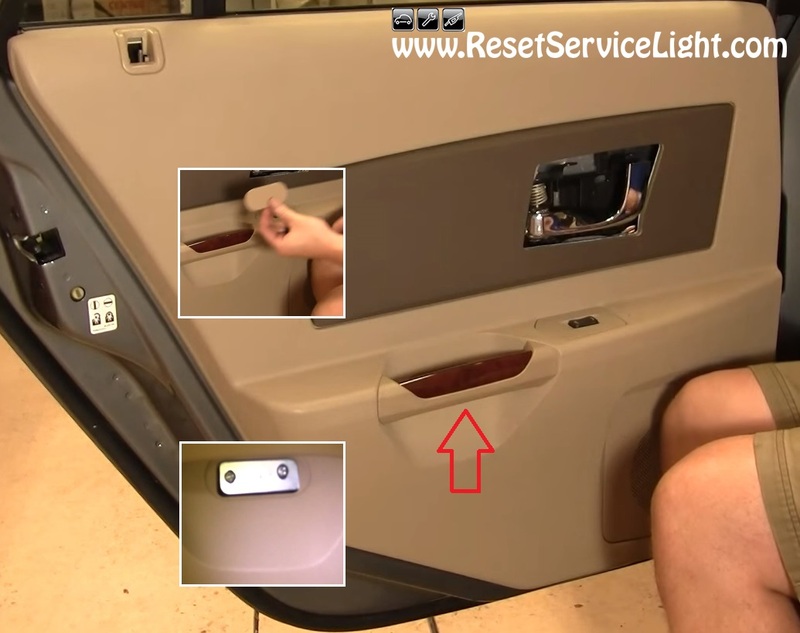 Make the repairs you need and reinstall everything, reversing the procedure above. These are the simple steps you have to follow, if you wish to remove by yourself the rear door panel on Cadillac CTS, the model produced between 2003 and 2007.